We offer a professional gutter cleaning service for the Dublin area. 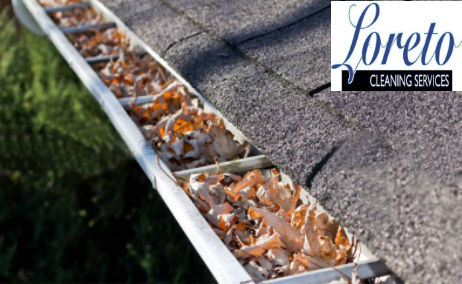 Clogged rain gutters have many damaging effects on your home. Even a small amount of debris will cause your gutter system to fail. Water will eventually spill over the brim of the gutter and run down the front of your house and rot wood around windows and doors. To avoid these damaging effects, your gutters must remain free of debris year round. Don’t risk expensive repairs with this dangerous chore. Loreto Cleaning can sort it out for you. To give your house a thorough makeover we can also clean the fascia, soffit, and brickwork as well. Buy gutter cleaning through our website and save money! We now offer a convenient way to organise your gutter cleaning with prices per meter. You can organise bundles to include fascia and soffits or window cleaning also. Please click here to view available products.